In August, 2013, the Toronto Vegetarian Association members nominated their favourite vegetarian and veg-friendly businesses in the first ever Toronto Veg Awards. The general public, including members, then voted to select the winners! Over 2000 people cast their votes. We congratulate all the winning as well as the nominated businesses, and also celebrate the wonderful contributions of ALL vegetarian and veg-friendly businesses in Toronto. 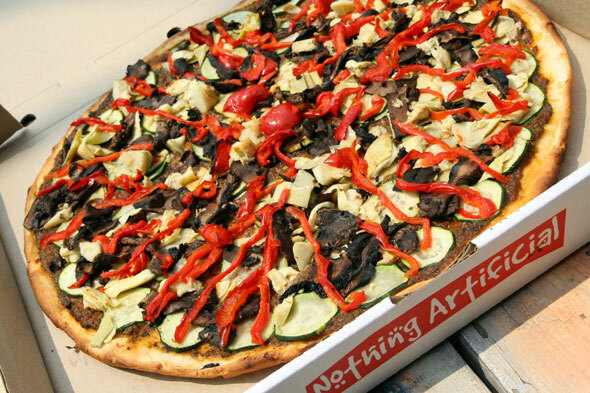 For a list of more great vegetarian businesses, visit veg.ca/directory. Posted September 17, 2013 by TVA. Filed under News, News from the Toronto Vegetarian Association, Uncategorized.